Housing associations exist to build sustainable, healthy and happy communities for everyone, no matter who they are or what their circumstances. This was the philosophy on which they were founded, their core belief and biggest driver. Drastic government cuts have shaped a different future to the one that was once imagined by the sector, in which housing associations have had to adapt, diversify and merge in the face of dangerous uncertainty and increasing criticism. It has rocked the sector to its core, but its central belief has remained the same, and it is this belief that has led housing associations to fight for their survival. Any suggestion that housing associations have lost their social purpose is just plain wrong. Increasingly commercial they may be, but housing associations are not-for-profit, and all the money they make goes into delivering their social purpose. They are the biggest players in tackling the housing crisis, and they invest in the communities they build and serve. This means providing employment support, education and financial support; promoting health and well-being; tackling isolation; offering education and training… the list goes on. A recent Institute for Public Policy Research report supported by consortium of social landlords Give us a Chance showed that housing associations invest £60m of their own money each year in employment and training support programmes alone. Residents are the number one priority. In the wake of Grenfell this has never been closer to mind and the sector should always be seeking to improve its service offer. This goes hand in hand with tackling the stigmatisation of social housing residents, something that is finally being reiterated by the government and, encouragingly, something Theresa May herself committed to, in her speech at our conference in September. So what does this mean for the future of social housing? The shortage of social housing means more people are being forced into a private rented sector that doesn’t recognise everyone’s needs. Families are being pushed into temporary accommodation, older people are often living in unsuitable housing, and people on housing benefit are being made homeless because discrimination against them is so widespread. We recently carried out research with Shelter that found one in 10 rental adverts on Zoopla actively discriminated against people on housing benefit with “no DSS, no smoking and no pets” in the same sentence; a practice which is likely illegal under the Equality Act 2010. This has got to stop, and the National Housing Federation (NHF), alongside housing associations and hopefully with the support of the government, will continue to fight for a fairer future and better conditions for people in the private rented sector. However, tackling problems with the private rented sector is only one part of the solution. The fact remains that we desperately need to build more affordable and social rent homes. Housing associations have the ambition to do this, with a current plan to build 120,000 homes a year, but they need to and have the capability to build even more with the right support. 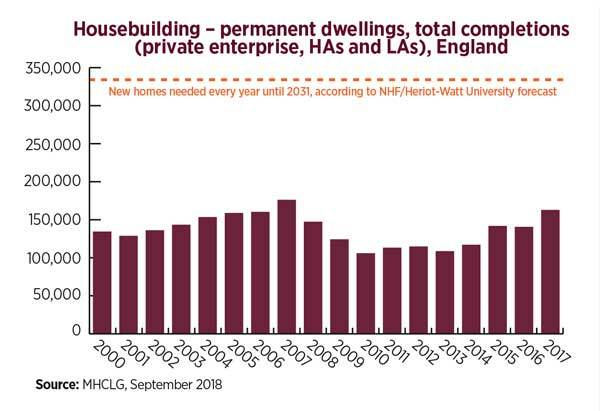 Recent research by Crisis and the NHF found that we need to build 340,000 homes a year, including 90,000 for social rent, to tackle the housing crisis. The recent extra £2bn in funding from the government is encouraging, but it’s not enough. Housing associations need access to affordable land. Last year, landowners made £13bn in profit from gaining planning permission on land. This crazy profit margin means that housing associations are increasingly outbid on land by private developers. We need land reform so that we can capture more of the increase in land value to fund local communities, affordable housing and infrastructure. Housing associations are different to what they once were, and while that might be scary for some, in reality they now have the capability to build on a scale like never before. With the right support, they can continue to be a key player in delivering the homes and communities the nation needs. 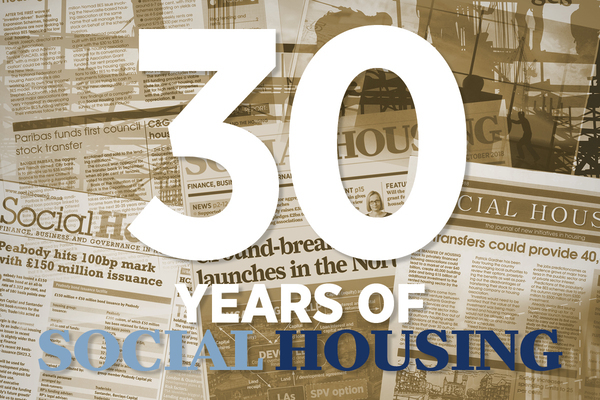 Luke Cross reflects on Social Housing past and present, as the magazine celebrates 30 years as the go-to publication for social housing finance. John Perry explores the progress of housing associations since the 1980s. Julian Ashby looks back at how UK housing has performed over the past three decades. 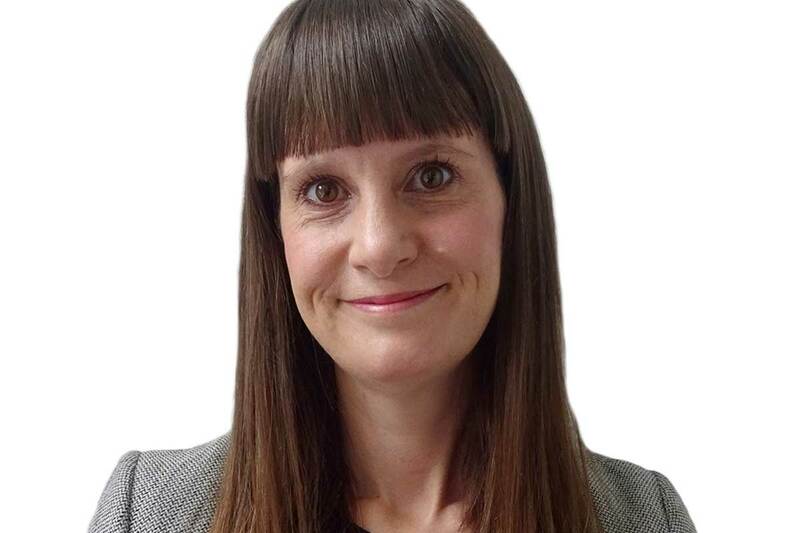 Kate Henderson looks ahead to the future of housing associations. Associations’ unique blend of social mission with organisational scale, flexibility and professional excellence makes them primed to meet the housing needs of the future, writes Zafrin Khan-Wheatley. Tackling the housing crisis will mean reducing the speculative demand for housing as a financial asset rather than a place to live, writes Josh Ryan-Collins. What can be done to help small associations deliver more homes?